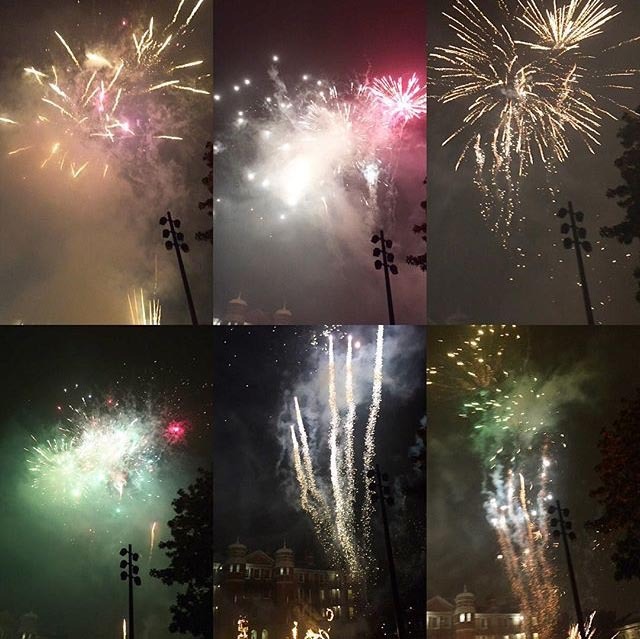 Anniversary celebrations go off with a bang! 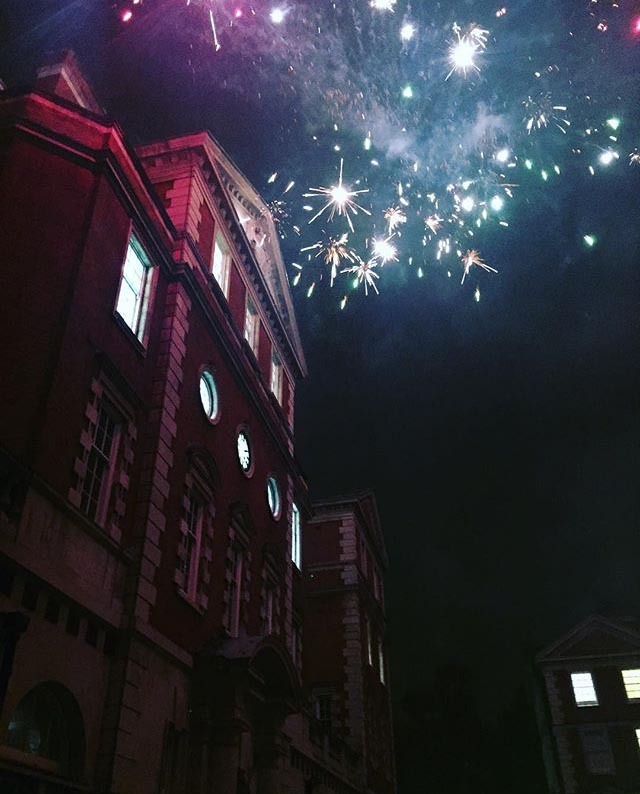 Last night, Chelsea’s Rootstein Hopkins Parade Ground was host to an exciting fireworks display which celebrated our ten year anniversary at the Millbank site with a bang! Curated and installed by first year students on the BA Interior & Spatial Design (ISD) course, the display incorporated music, smoke and burning structures designed especially for the occasion as well as more a traditional display using rockets, Catherine wheels and roman candles. 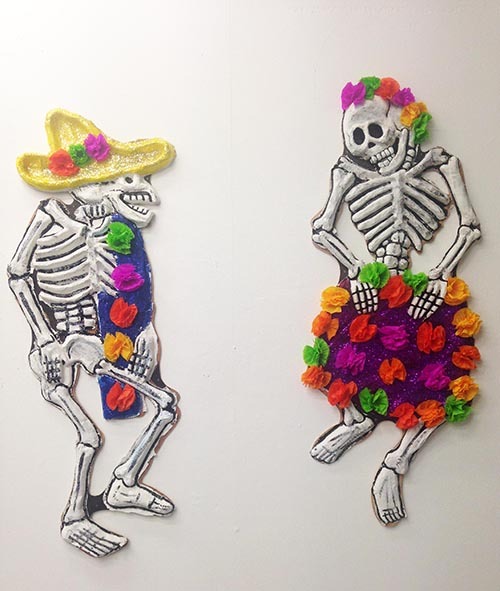 Other events taking place on site included ‘Day of the Dead’ themed make-overs provided by London College of Fashion students, a show of work by BA Graphic Design Communication students called ‘To Death with a Smile’ and an exhibition of artworks by Mexican artists Demián Flores & Katina Riba and Boris Spider. George Blacklock, Dean of College, said: “By moving to this site it has allowed Chelsea to increase our academic provision, supported by our superb technical offer in and outside of our amazing technical facilities. This site allows us to build on our relationship to London as a research and professional centre in the creative industries – and considerably increases our influence in this context. See more images from BA ISD students as they prepared for the display on our Instagram feed @ChelseaUAL. Or see more images from the event that have been tagged on our Instagram location page. Find out more about events celebrating our 10th Anniversary at Millbank on our events page. Find out more about studying BA Interior & Spatial Design and BA Graphic Design Communication at Chelsea on our undergraduate course pages.